Kenya is often described as a charming country to visit in Africa with a number of beautiful cities and beaches to enjoy. A lot of Nigerians travel to Kenya to school, others travel to sight see, visit family, find a new work, find a new life or just to enjoy the environment. Not all African countries require a visa to visit Kenya, however Nigeria is not one of these, any Nigerian applicant is expected to obtain a visa to visit Kenya. 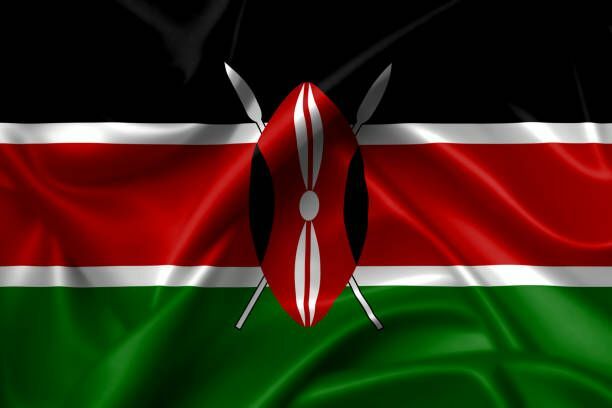 Single Entry/ Ordinary visa: the single entry or single journey visa available to Nigerians travelling to Kenya for a short period of time mainly for the purpose of visiting relatives, business, medical treatment or holiday /tourism. The short stay single journey or ordinary visa is valid for a period of three (3) months. Once you have exceeded three months on a single entry visa, you are expected to apply for reapply for another visa by visiting the immigration centre at the capital (Nairobi) for your visa renewal. Courtesy Visa: issued to individuals travelling to Kenya as an international courtesy. It may also be issued to individuals travelling to Kenya for official purpose. The courtesy visa is also issued to individuals travelling through Kenya (on transit) to another country for official duties. Transit Visa: this class of visa is available to applicants travelling through Kenya into another country. It is called a transit visa as the holders are only passing through and not intending to make Kenya their final destination. 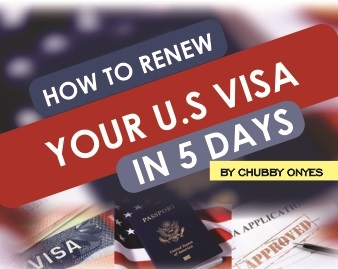 Transit visas are valid for a period of three (3) days. Multiple Journeys/ Multiple Entry visa: this is the type of visa required for individuals who intend to visit Kenya on several occasions within a particular period. Such applicants usually travel in and out of Kenya often for one reason or the other such as business. The validity period for a multiple journey visa is between six (6) to twelve (12) months. Official /Service visa: this form of visa issued to individuals who hold service passports and are travelling to Kenya for official purposes. Diplomatic Visa: this is the type of visa required for diplomatic officials (individuals who hold diplomatic passport) who intend to visit Kenya for official purposes. The diplomatic visa is issued to diplomats and diplomatic officials, service passport holder and several other related country officials. Your completely and accurately filled visa application form usually referred to as Form 22. Your valid Nigerian passport (original and photocopy) to show your travel history, your bio-data page, your passport number and photograph. Possession of adequate funds to travel to Kenya (including your visa application fees), sustain yourself while there and return to your country. You will need to provide proof of funds in terms of a bank statement of your account (not less than six months) or an On-ward air return ticket. A letter or evidence of invitation from a person living in Kenya that you will be visiting or staying with in Kenya. The introduction letter should include the dates of your visit, the period of stay and the purpose of visit. Birth certificates must also be made available if you have children or any dependents travelling with you. Proof of internationally acceptable vaccination: you must make available yellow fever and cholera vaccination evidence endorsed by an acceptable medical practitioner. A letter of introduction with vital information such as your physical address, mail address and contact phone numbers. You can click here to check for more required documents and ensure you prepare all. After you have determined your eligibility to travel and made available all required documents, the next step is to visit the visa application website www.ecitizen.go.ke and complete your visa application form. Confirm your account by clicking on the link sent to your email box. After completing your form, you can then submit online. Do not click the submit button until you have cross-checked that your application form is correctly filled. You will not be able to make any correction after submission. After you have filled the appropriate forms, you must pay your visa processing fees. The visa fees vary for different forms of visas so ensure that you are paying the correct fees for the type of visa you are applying. You should pay your application fees using a bank card such as the master or visa card. You can check for more information on visa fees here. Note that the visa application fee is non-refundable. If your application is eventually rejected, your funds will not be returned to you. Once you submit your application, you have crossed a major step of your application process. If successful, an approval mail will be sent to the email address which you provided. You are required to download the e-visa and print out for reference purposes. You will be issued a stamped visa at the point of entry to Kenya, there you must present you eVisa both soft ad printed copy. Individuals who do not possess required documents will not be allowed entry into Kenya. Having an eVisa is not a guarantee that you will be granted entry into Kenya. Therefore ensure that you meet all current requirements so as not to jeopardise your eligibility to enter into Kenya. The Kenya Immigration Authority reserves the right to update their visa application requirements without notice, hence make sure you keep up to date about their requirements at the point of application. Visit the Kenya high commission website at http://www.kenyahighcommission.com for more information on visa requirements for Nigerians. What if I want to live and work in Kenya?